The Arezzo Wine Trial is a trip across the entire province and also history. Starting on the northern banks of the River Arno in the Casentino, along a winding valley shadowed by the age-old forests of the National Park, it proceeds along the watercourse into the Valdarno, with its incredible variety of landscapes, next to the medieval town of Arezzo and then south to the breathtaking sights of the Valdichiana. 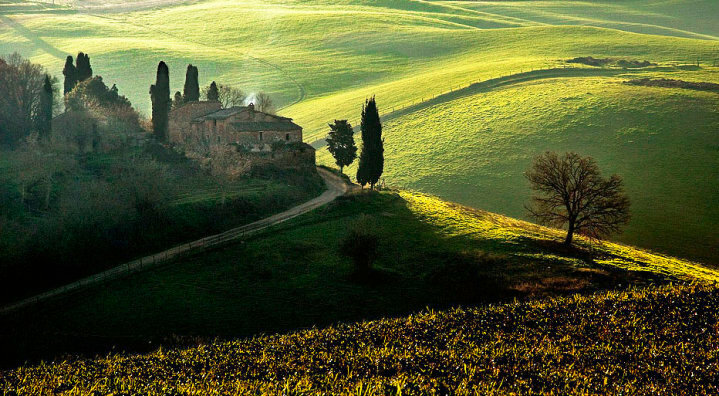 The countryside is rich with vineyards, olive groves, tobacco cultivations, chestnut woods and forests. Ancient abbeys, fortified villages and medieval castles dot the landscape. It is a travel through time which goes back to the Etruscans passing through Renaissance masterpieces. 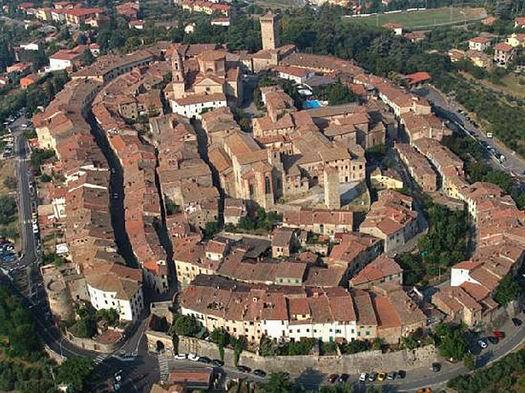 The small, walled city of Castiglion Fiorentino, for instance, was inhabited since prehistory and is well known for its Etruscan archaeological site. Dominating the ancient 13th century walls is the Cassero, the town’s fortress, completed in 1367. 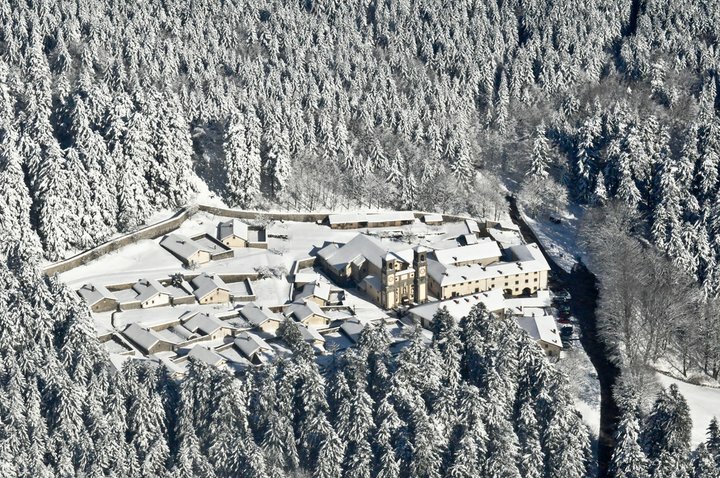 In the 15th century the fortress was used by nuns as a convent. During the centuries much of it was destroyed and by the 19th century the remaining structure was used as a prison. The Public Art Gallery occupies the former church of Sant’Angelo, built between 1229 and 1239 in Romanesque style on the site of an Etruscan temple. Before being used as a museum, the church served as a hospital, wine cellar and workshop. Today it treasures precious 13th century goldsmith’s art and paintings by Margarito, Taddeo Gaddi, Bartolomeo Della Gatta and Giorgio Vasari. The nine arch loggia in Piazza del Comune was a work of Vasari in 1513 and enjoys a breathtaking view over the valley. 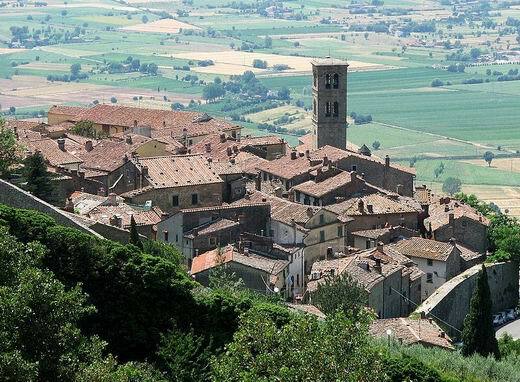 Southwest one encounters the main cultural and artistic centre of the Valdichiana, after Arezzo, Cortona. Originally an Umbrian city, it was conquered and enlarged by the Etruscans who left many vestiges mostly preserved in the Etruscan Academy Museum, founded in 1727. Cortona eventually became a Roman colony and later, in the 13th century, a Ghibellinian city state with its own currency. Prevalently medieval in architecture, Cortona is renowned for its steep narrow streets climbing the hillside with a spectacular view of the whole Valdichiana. Scattered around the hillside are the Etruscan chamber-tombs whilst on arriving in town one’s eye is immediately captured by the vast dome of Vasari’s Renaissance church, Santa Maria Nuova, standing out against the skyline. Further west lies the remarkably conserved medieval walled elliptical village of Lucignano. Strategically located between Arezzo and Siena, it was disputed between these two cities, as well as with Florence and Perugia, between 1200 and 1500. Inside the walls the ancient village is perfectly conserved with 12th century buildings, such as the Palazzo Pretorio. The town Museum preserves works from the 13th to 18th century among which the well-known “Tree of Life”, L’albero della vita, an elaborate reliquary made for the Franciscan church: a gilded and bejewelled tree surmounted by a crucified figure. 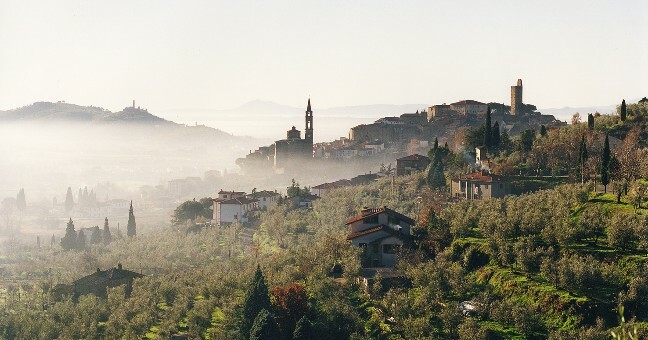 However, the heart and capital of this stunning Tuscan province is the town of Arezzo. As evidenced by the architecture of the city, Arezzo boasts ancient origins in which it was one of the twelve most important Etruscan towns as well as a strategic Roman city. The highest part of town retains a remarkable medieval aspect, dominated by the Cathedral and the Medici fortress. In the centre of the city Piazza Grande reveals a rich collection of architectural styles: next to the medieval towers stands the imposing Mannerist Vasari Loggia, in front the Gothic Palace of the Lay Fraternity is nearly next to the Romanesque church of Santa Maria della Pieve. This square is currently the site of the annual medieval tournament called the Saracen Joust, which takes place every year on the last but one Saturday of June and on the first Sunday of September. 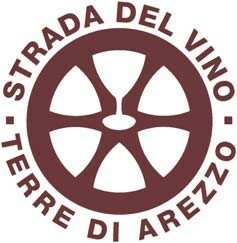 This journey on the Arezzo Wine Trail is an opportunity to try not only the various wines produced here but also its gastronomy. 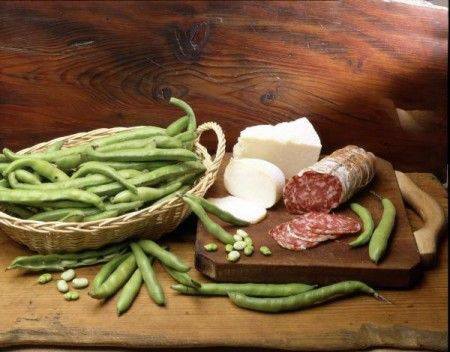 Together with an excellent extra virgin olive oil, this land produces a vast range of legumes (beans and chickpeas). The sheep and goats grazing on the hill slopes are raised for their milk used for various kinds of cheese. The chicken of the Valdarno is as famous in Italy as the Chianina beef bred in the same name valley, while pigs are used for the many types of cold meats such as capocollo, finocchiona, prosciutto DOP Toscano and salame toscano. To end on a sweet note, the numerous beehives seen in the fields or among the trees in woods produce a vast variety of honey. Truly a region of scents and flavour. Questa voce è stata pubblicata in Culture and accommodations in Tuscany, Folklore and accommodations in Tuscany, Tuscan food and wine, Tuscan lifestyle, Villas in Tuscany e contrassegnata con accommodation in Tuscany, Arezzo, Castiglion Fiorentino, Cortona, Lucignano, Tuscan food and wine, Tuscan lifestyle, Tuscan olive oil, Tuscany. Contrassegna il permalink.